VIA: Tim Westwood may have outdone himself with this one. The venerable disc jockey has unearthed and abundance of old-school gems from his 20+ years on the radio, unveiling freestyles from Talib Kweli to Will Smith. 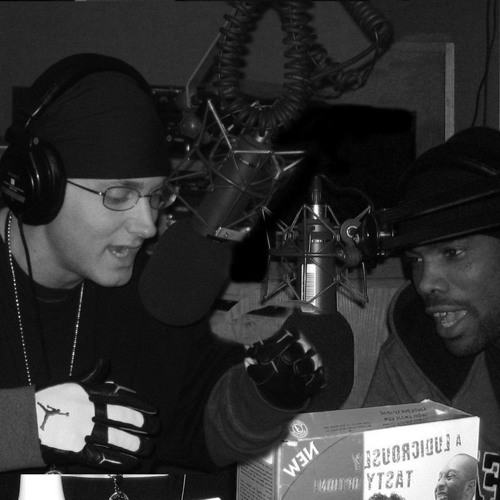 He returns with another "throwback Thursday" drop, featuring none than D12 members Eminem and the late Proof. Circa 1999, shortly after Eminem's career-launching album The Slim Shady LP, the freestyle is the same classic session over LL Cool J's "4, 3, 2, 1" and Nas' "Hate Me Now" instrumentals. However Tim finally has revealed the full version of the freestyle, a near-13 minute assault of bars. It's a bittersweet reminder of the dynamic energy the two friends shared, and that Proof is sorely missed.